In a rare insight to the skewed abortionist mind, Melissa Harris-Perry of MSNBC made a startling admission: a baby should only be considered a baby if the parents have feeling for it. When does life begin? I submit the answer depends an awful lot on the feeling of the parents. Modernism- the culmination of all heresies- has been at work for the past centuries attempting to undermine and overthrow any idea of absolutes. Thus, what is clearly a baby is not considered a baby for another, just for the mere fact that there is no universal right and man designs his own truths. But the logical extension of such thought is itself mind-boggling. What of old persons, who are no longer as sprite and collected as they once were? This type of argument- that the feeling of “wanting” something is the end to itself, throws any sense of duty or responsibility out the window. This will inevitably lead not only to infanticide, but euthanasia. Miss Harris-Perry displays her ignorance of science as well, when she states that protection of human life is “not science.” But according to biologist Scott Gilbert, a thing is always that certain thing regardless of the stage of life. An unwanted pregnancy can be biologically the same as a wanted one. But the experience can be entirely different. Thus does she explain what pro-lifers have already known: that some babies are allowed to continue to live, while others are murdered in the womb. 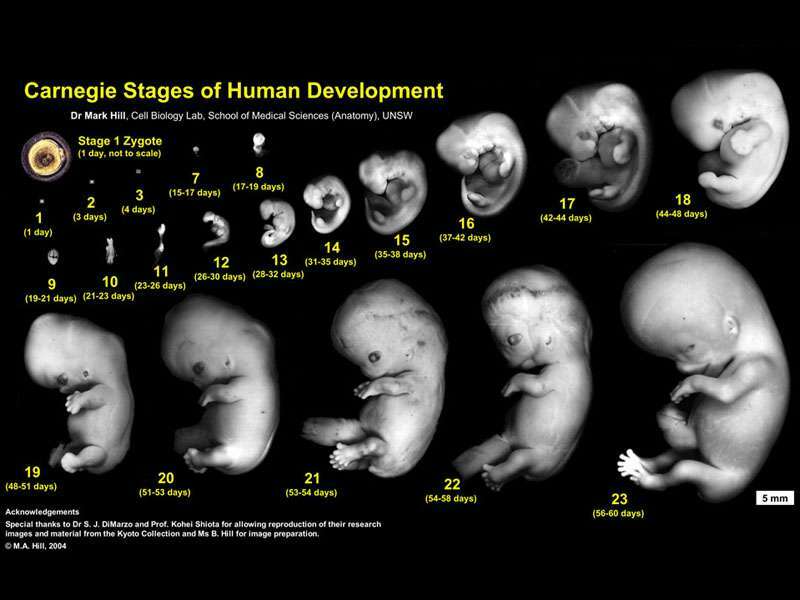 Both cases see babies at the same stage of human development, but the outcome is horrifically different. This is one reason that the media has been so silent on the Gosnell trial, for it would expose the errors of abortion.